I remember my first experience with PHA sometime in the middle eighties of the last century, when Professor Anton Blazej, rector of Slovak Technical University, visited ICI and handed me over about 20 g of this material. The slabs looked as remnants from specimens for impact testing. He strongly recommended to get more information on the material and perhaps to start some research with this „plastics of the future“. I was rather deep involved in material science, aiming mainly on polymeric multiphase systems such as blends and composites and appropriate procedures of their modification to get particular properties for specific applications. That time the basic polymer for me was polypropylene; concerning biopolymers, we carried out some marginal investigations on mixtures of starch with polyethylene. However, the amount of PHA was too small to perform even preliminary material testing; in addition, no information on the composition was provided, so we just accepted it as an interesting but still „exotic“ material. However, I could not continue ignoring the PHA for long time since, in 1991, Dr. Hanggi, the owner of the company Biomer, Germany, addressed me with the request to make some measurements of mechanical properties on PHB which Biomer was producing and selling on commercial basis. He provided more or less unlimited amount of material (considering laboratory scale of research), so, besides the tests for Biomer I could really start to play with the PHB in the lab. Biodegradable plastics started to become my main research topic at the end of the nineties, when Stanislav Miertus, professor at ICS UNIDO Trieste (my former colleague at Polymer Institute SAS in Bratislava, where we worked at the same time on our PhD theses) invited me to Trieste for a workshop on BDPs and asked me to give a short lecture on BDP´s situation regarding research and application in Slovakia. He was surprised when I offered a full lecture on our research on modification of PHB. That time, Miertus was organizing a set of workshops under UNIDO auspices, and supported promoting the idea of BDPs by colecting a number of scientists including top researchers in this area. Since I was honoured to be invited to be a member of this group, within this scheme, I had an unique opportunity to meet and discuss all aspects of BDPs with leading experts in this field, such as Gerhart Braunegg, Emo Chiellini, Ramani Narayan and number of others. Moreover, we had the opportunity to visit various countries (each workshop was supported by UNIDO but organized by local organizers in a particular country for a selected region), and to get familiar with various attempts and attitudes to contribute to the development of applicable BDPs. 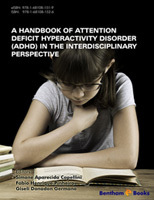 The research and promotion of PHAs was one of the most important topics discussed in this expert pool. Within the group, all relevant aspects concerning BDPs were considered with the main concern devoted to PHA and PLA. Generally, it was agreed that to achieve a substantial increase in production of BDPs, the materials must be suitable for high volume applications; packaging materials were considered as the most prospective goods since biodegradability could be of great advantage offering an alternative way to current waste management to handle the vast and continuously growing amount of plastics garbage. However, this market was occupied by polyolefins and PET. To be competitive, two basic conditions had to be met. The BDPs should have the ultimate properties as well as processing parameters similar to currently used materials and the price should approximate the cheapest variants of petroplastics. That time it was believed that if BDPs would have suitable properties, a price approximately double of polyethylene would be acceptable, taking into account simpler waste management logistics and also positive response of the public regarding the environmental feasibility. However, a vicious circle appeared due to the fact that PHA and PLA seemed to be too expensive for high volume application and, consequently, because of low consumption and low production amounts on the pilot scale level, the price remained high. The aspect of price of PHAs was generally tackled by research aimed to preparation and effective production of PHB and related copolymers, where the main concern was to make the prospective production cheaper. To achieve this, various substrates were investigated, mainly carbonaceous sources of waste. An example of such approach was represented by the project WHEYPOL, granted by the 5th EU Framework Programme, coordinated by Gerhart Braunegg. The goal was to produce PHB from whey available in large quantities as a waste stream from production of cheese. The project was successful and the major outcome was the design and setup of complete production facility for production of PHB with capacity 20,000 tons per year. This amount was considered as optimal from point of view of initial investment needed and final cost of the polymer being competitive enough. The plan was to build up a pilot production plant with a capacity of 800 t per year which could produce commercial material but the main goal was to prove that the technology is feasible also on industrial scale. Unfortunately, the proposal sumbited to EC for the aspired demonstration project was rejected with reasoning that for this type of projects no demonstration projects are supported. (In this context, recently I saw statistics data on the ratio of budget for reseach from public resources, showing that in USA the ratio between basic research, applied research and demonstration was 24/28/48, in China 11/32/57, which is in huge contrast to the figures for the EU: 92/2/6 [http://youtu.be/oy_wxg5-nyY]. Obviously significant number of results of European research paid from EU sources is applied outside the EU region). Consequently, private investors were considering to take over, even an investor from Slovakia was quite keen to invest 2 millions EURO needed for the pilot plant construction. Gerhart Braunegg and Martin Koller acted as consultants in discussions regarding the optimal technology and especially feasible substrates for grow of bacteria and selection of powerful microbial species. Unfortunately, before we were able to come to an acceptable conclusion, the financial crisis knocked all plans on the head, and the investor was happy to be able at least to save his current business running. The second strategic aspect in promoting the development of BDPs consisted in properties, both ultimate and regarding aspects of their processing. The main problem with ultimate properties is represented by rather high Tg of PLA (about 60 oC) and although the value for PHB is below RT (around 10 oC), still both materials are extremely brittle. Moreover, both (especially PHB) suffer from quite pronounced physical ageing leading to lowering the thoughness; this makes the material even more brittle within a period of few weeks of storing. Regarding processing, the main problem was that at processing temperature of PHB being at least 180 oC or more, thermal degradation via hydrolysis proceeds too fast. Steep decrease of molecular weight was reported, contributing to further increase of brittleness; certain auspicious technologies, especially film blowing were impossible to be applied. However, at the beginning of this millennium, the situation began to change. Globally, a number of research teams has been interested in biodegradable compostable plastics, important achievements were reported and patented dealing with all aspects which prevent high volume application of BDPs. Moreover, industry started to seek on the potential of compostable plastics for packaging and real commercial applications appeared first in small volume but gradually the production has been rising. A substantial contribution to this trend was launched by starting production of PLA by Cargill with a capacity 150,000 tons per year, as a first really high volume production of a compostable, biodegradable polyester. Today, production of biodegradable compostable plastics is claimed to be raising by 20 % per year. In spite of this the portion of biodegradable plastics in overall plastics world production is only around 1 %. While at the beginning of the millenium, the main advantage of BDPs concerning the environmental effects was seen in biodegradability and prospective compostability, recently new attitude is stressed, namely biobased origin is claimed to be the most valuable environmental contribution. This trend is related to carbon dioxide production as a reason for global warming. Materials based on renewable resources are defined as „CO2 neutral“, it means that the same amount of CO2 consumed for creation of the renewable organic raw material is released at the end of lifetime of the product, regardless on the way of the waste disposal. Thus, the classical plastics (mainly petrobased) are adjusting to new environmental trends by creating biobased polyethylene or poly(ethylene terephthalate). The compostability would by such a way be considered as less important, although still usefull when considering the application of new environmentally friendly plastics. While in the past the scientific projects were aimed almost entirely to scientific and technological development, recently more concern is devoted to broader goals, where a significant part of work (and funds) is aimed to networking, seminars for companies and dissemination to a broader public (including TV and radio); in this kind of projects scientific reseach is performed mainly as case studies. Even under this scheme I was a partner in an ERDF project PLASTiCE (coordinated by Andrej Kržan who authored chapter 2 of this ebook volume) where, besides others, also a biodegradable blend based on PLA and PHB was successfully tested for production of packagings for eggs by thermoforming. Coming to the end I would like to stress two, in my view, important non-scientific aspects. The first one is related to the impatience of both scientists and industry to apply the new, apparently valuable, results as soon as possible. If the product is not sufficiently tested, i.e., it passes the standard tests, but the conditions of utilizations as well as disposal issues are not addressed in all details, it may happen that the product fails under certain circumstances which were not expected to be crucial. Such failure will probably disqualify the product from further utilization but, at the same time, the public extends the failure to the whole group of novel, biodegradable plastics. By such a way, an irresponsible application may create opposition and retard the development of many useful environmentally sound solutions. The other comment is aimed to compostable plastics which may turn to be a valuable alternative to the current technologies of waste management. To design excellent biodegradable compostable plastics in the lab and to develop a suitable technology is just the very first step. It has to be realized that from the environmental point of view, „biodegradable“ and „compostable“ per se means nothing. What really counts is the product which, after passing its lifetime, is de facto „biodegraded“ and „composted“. To complete this task, the full value chain must be designed from commercial production of materials and industrial production of goods up to collecting waste, sorting and transporting it to composting plants, which, of course, must be available. An important part of this line is also certification and labeling of compostable, biodegradable and/or biobased materials and products so that the collection and sorting of waste would be easier. Establishment of a certification scheme in Slovenia and Slovakia was also a goal accomplished within the PLASTiCE project mentioned above. In my view, the current situation for biodegradable plastics looks promising. It seems that all questions related to application of compostable materials are defined, many are fully or at least partially answered. Concerning areas where, up to now, research efforts did not point out clearly promising way, degradability of plastics in marine environment should perhaps be mentioned as the most important challenge. Regarding biodegradable polyesters, especially PHAs and PLA, considering the above detailed current concerns, both are biobased and their compostability is as an important extra bonus, so that new materials for various applications are applied in growing volumes, industry indeed is interested to participate in this area and response of the general public is generally highly positive. This eBook presents current R&D activities accomplished in diverse research institutions worldwide aiming at replacing well-known plastics originating from fossil resources by alternatives from nature. The importance of these R&D endeavors can be visualized by considering a global production of 300 Mt of plastics per year; the major share thereof is recalcitrant against bio-mediated degradation, and a rather modest portion of only about 20% of spent plastics undergoes recycling. “Environmentally degradable plastics” (EDPs) as sustainable alternatives are available, but cover less than 5% of today´s plastic market. Further, the expression “environmentally degradable plastic” is often used highly ambiguously or even in an explicitly incorrect context; so called “bio-plastics” do very often not come up to the characteristics “biobased”, “biodegradable”, or “biocompatible”. Microbial polyhydroxyalkanoates (PHA), a versatile group of polyesters produced by nature as prokaryotic storage materials, are contemporarily attracting increasing attention as polymeric basic materials to be implemented in various fields of the plastic market. This fact is manifested by the nowadays exponentially growing number of scientific publications and patent applications related to this topic. Not only does the biobased nature of PHAs underline their significance for sustainable future developments, but also the high flexibility and adjustability of their properties, their biodegradability and, to a steadily increasing extent, their biocompatibility. To develop overall sustainable and efficient production processes, one has to take into account all single process steps, starting from microbiology and enzymology, selection of suitable inexpensive raw materials, optimizing process engineering and process regime, until enhancement of product recovery in terms of time-, energy-, and material input. As mentioned before, we nowadays unambiguously witness a tremendously increasing trend towards new polymeric products from nature to replace contemporary plastic based on fossil feedstocks, especially in areas where established, highly recalcitrant plastics cause environmental concern. After now already decades of global R&D developments in the field of microbial polyesters (mainly polyhydroxyalkanoates - PHA), and numerous body blows on the way to their since a long time announced market penetration, it is generally recognized that the success of these promising new materials needs the improvement of both material performance and production prices. The perception of our exigency to exit today´s disastrous “Plastic Age” were my incentive for about fifteen years of research in the field of these biopolyesters. Starting with my Master thesis on novel, ecologically benign methods for extraction of PHA from microbial biomass in the group of Gerhart Braunegg at Graz University of Technology in the year 2000, I got more and more fascinated by these unique biopolyesters. Not only the multiple and complex metabolic roles, the various functions of PHA in diverse ecosystems, the high diversity of PHA accumulating microorganism and the inestimable variety of different “plastic like” properties of different types of PHA attracted my attention, but also the variety of cultivation strategies in discontinuous and continuous mode which can be implemented to produce PHA in an efficient way at pre-defined composition and quality. Most of all, raw material aspects which need to be addressed to make PHA production cost-efficient for me always constituted the central field of interest; in this context, I had the honor to perform my doctoral thesis, guided by G. Braunegg, on production of PHA from whey as an abundant raw material in the frame of the EU-FP5 project WHEYPOL. Years later, we upgraded another industrial surplus material to a feedstock for PHA biosynthesis, namely waste lipids from the rendering and animal processing industry. Here, enabled by the EU-FP7 funded project ANIMPOL, our multidisciplinary and international consortium demonstrated how the utilization of this waste stream on the one hand contributes to minimizing waste disposal issues, and, on the other hand, provides for cost-efficient production of PHA biopolyesters and even positively contributes to biodiesel industry. As a common feature of all PHA-related research activities I carried out together with G. Braunegg, one should emphasize the strong industrial embedding in all projects, either as direct project sponsors, advisors, or as active project partners. At this point, I would like to take the chance to express my graduate to all our industrial partners and financiers who enabled our research and, by cooperating with us, underlined the high industrial significance of this novel class of biomaterials. Coming to the core part of this issue, all process phases, starting from the genetic and enzymatic procedures in the microbe´s interior, raw material selection and allocation, the production process in adequate bioreactors including kinetic analysis and mathematical modelling, process engineering aspects regarding fermentation modes, feeding regimes and bioreactor selection, and, last, but not least, product recovery and refining (“downstream processing”) need consideration and optimization; this goes in parallel with market issues and holistic consideration of sustainability aspects. The volume at hands, “Part 2: The Engineer´s Point of View (Aspects of Engineering, Characterization, and Sustainability)” encompasses eight specialized chapters addressing topical endeavors to enhance the processibility of PHA towards vendible bio-technomers, give novel insights into sustainability aspects of PHA production as a holistic process, and offer critical insights into the features which contemporarily need to be addressed to make PHA competitive with their counterparts of petrochemical origin in terms of economics and material performance. These chapters address market issues needed to accelerate the success of PHA and related biopolymers on the market, elaborates sustainability issues, and provides an insight into the impact of PHA composition on the monomeric level on the final properties of PHA biopolyesters. In this context, the reader will learn about current techniques for tracing intracellular PHA, and for characterization of these polyesters regarding their decisive physical properties. Further, new strategies are presented how to increase the quality of PHA by adjusting the degree of crystallinity and profiting from nanotechnology to design smart biopolymers. 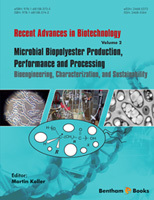 More engineering-related chapters provide the up-to-date knowledge on bioreactor design and fermentation regime to enhance PHA production by innovative technological means, or emphasize the need for sustainable downstream processing techniques for PHA recovery from microbial biomass. Finally, mathematical modelling as a tool to better comprehend PHA production and to restrict the number of laboratory experiments are discussed. Lucia Amaro and colleagues, active at the highly recognized laboratories of Emo Chiellini in Pisa, provide an analysis of the main criteria for the selection of (bio)materials suitable for the production of flexible and rigid packaging which addresses the expectations of the customer, economics and environmental aspects. In this context, the authors focus their critical paper on mechanical properties, melt flow behavior of PHA homo- and copolyesters, processing by melt extrusion, film blowing, injection molding, etc., and, as culpably underestimated in the past, on odor issues of biopolymers. Guidelines to overcome current problems faced by bacterial polyesters and their relationship with the current polymers market are also presented in this chapter. Andrej Kržan from the National Institute of Chemistry in Ljubljana, Slovenia, demonstrates in his article that EDPs such as PHA are growing rapidly in number and regarding their fields of application. The author stresses that assessing their major characteristic, namely degradability, which also includes biodegradability as final stage, is a challenging issue both scientifically and in technological aspects, and, in the past, resulted in different interpretations. To standardize criteria and techniques, various standards were created by different standardization institutions, which also act as a basis for certification patterns. An up-to-date inventory of the rapidly growing standardization body is presented with basic interpretation to help guide the non-expert. Predrag Horvat and colleagues from the University of Zagreb, Croatia, are well-known in the scientific community for their expertise in mathematical modelling of bioprocesses. In their comprehensive article, these authors emphasize that process/strain optimization procedures are unavoidable in the improvement of large-scale bioproduction processes. These procedures are necessary on bioreactor level and on biochemical/genetic level of producing strains. Here, mathematical modeling is described as a useful remedy. Mathematical models applied for PHA biosynthesis (classified as both structured and unstructured), are classified into low-structured, formal kinetic, high-structured (metabolic), dynamic, neural networks, cybernetic, or hybrid model type. In their chapter, the authors discus each specific group of models is in the light of its applicability and benefit for increased productivity, enhancing of the specific PHA biosynthesis rate, and better understanding of the intracellular metabolic regulation systems. Characteristics of production strains, particularities of MMC and features of industrial-scale plants cannot be described by one sole model type alone able to address all different needs. In this context, the authors suggest that satisfying, compromised, perhaps most promising solutions are obtained by the combination of mechanistic, neural, cybernetic, and computational fluid dynamics (CFD) types of models. This hybrid modelling approach generates a holistic picture of the PHA production process by benefiting from the advantages of different model types. Kianoush Khosravi-Darani and colleagues, located at the Shahid Beheshti University of Medical Sciences, Tehran, Iran, summarize engineering issues in PHA production by linking bioreactor design to biochemical ongoings in PHA producing strains. The authors emphasize that addressing the effect of the hydrodynamic and mass transfer phenomena on PHA production is necessary independent on the applied bioreactor types. PHA production performance increases with operational and design parameters such as superficial gas and liquid velocities and also height and length of the bioreactors in the accumulation phase. Time constant analyses substantiate previous findings that the rate of oxygen consumption constitutes the process-determining step at such superficial gas- and liquid velocities exceeding the specific values. Batch, fed-batch and continuous fermentation mode are compared regarding cell concentrations and intracellular PHB mass fractions in bioreactors to reduce production expenses. Further, the authors describe that the control of carbon to nitrogen ratio has direct impact on PHB production, and accumulation of PHB inclusion bodies in most microorganisms depends directly on limitation of nutrient components. Application of recombinant or wild microbial production strains which produce PHB during balanced growth could enable the setup of highly efficient one-stage continuous chemostat production systems. In addition, the authors describe autotrophic cultivation with CO2 and CO as another strategy towards cost-efficient PHA production. Abhishek Dutt Tripathi from the Banaras Hindu University in India and his associates devote their chapter to the discussion of techniques for downstream processing to recover PHA from microbial biomass. This is of special importance due to the fact that downstream processing constitutes the second largest cost category in the PHA production cycle. The authors compare various established and novel recovery techniques reported and studied at small laboratory scale as well as in (semi)industrial facilities. These techniques encompass methods of solvent extraction, chemical biomass disintegration, enzymatic and/or mechanical disruption, application of supercritical fluids, flotation, subjecting biomass towards gamma irradiation, and implementation of aqueous two-phase systems. The article summarizes all currently known recovery methods, and compares them in terms of efficiency and the quality of the resulting PHA regarding product purity and impact of the recovery technique on molecular masses. Giin-Yu Amy Tan and co-authors, associated with Jing-Yuan Wang and Swee Ngin Tan, constitute an authorship distributed over the Hong Kong Polytechnic University and the Nanyang Technological University in Singapore. These authors address current and emerging advanced analytical technologies for biopolyesters characterization, a definitely highly topical item. The authors emphasize that analysis and characterization of PHA biopolyesters remain an integral aspect of the PHA industry, correlating the microbial processes performance and PHA’s physiochemical properties. The vast number of structurally diverse PHA monomers has also made PHA analysis extremely challenging. Numerous techniques have been exploited for the detection, quantification, and characterization of microbial PHA. New techniques are also continuously being developed with advancing instrumentation capabilities. 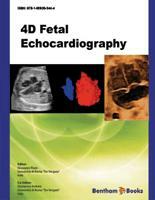 This book chapter introduces the basics underlying current and emerging PHA analytical techniques, and summarizes key protocols and information related to these techniques. The potential applications of emerging techniques are also highlighted and discussed. The complexity of PHA composition on the monomeric level is also addressed by the article provided by Ayaka Hiroe, Sho Furutate, Shoji Mizuno, and Takeharu Tsuge from the Tokyo Institute of Technology. These authors focus on the recent progress in improving two types of PHA, namely 3HB-based copolymers and unusual PHA homopolymers, which show improved material properties and/or cannot be synthesized in nature. 3HB-based copolymers which not only include 3-hydroxyvalerate, 3-hydroxyhexanoate, and long chain 3-hydroxyalkanote-containing copolymers, but also branched building blocks like 3-hydroxy-4-methylvalerate or 3-hydroxy-2-methylbutyrate, aromatic building blocks like 3-hydroxy-3-phenylpropionate, 3-hydroxyphenylvalerate, or 3-hydroxy-5-(4′tolyl)valerate, and even lactate-containing copolymers are reviewed in this chapter. On the one hand, the work discusses material properties like melting points and glass transition temperatures of these different biopolyesters in dependence of the structure and molar share of different building blocks; on the other hand, also the metabolic background of the biosynthesis of these rather exotic PHA constituents is elucidated. It is well known that the physical properties of a thermoplastic semi-crystalline polymer such as thermal, mechanical and gas permeability properties are markedly influenced by the crystalline structure and morphology. As described by Patrizia Cinelli and associates from the University of Pisa and the National Research Council in Pisa, Italy, these characteristics are controlled by the solidification and processing conditions. A full knowledge of the structure and morphology of the crystalline phase and its quantification are crucial for both the comprehension and the prevision of the final properties of a PHA-based material, as small changes in crystallinity can dramatically modify its properties. The principles that govern the relationships between structure and properties of the biopolymers are the same that determine the behavior of the fuel-derived polymers. The authors underline that extensive use of PHA has been hindered until now by some insufficient properties relevant for practical applications, which make these polymers not equivalent to conventional thermoplastics; many attempts have been performed to improve their properties, mainly by preparing mixtures with various different compounds or with other polymers. In the chapter of Cinelli et al., an analysis of the mechanical properties, especially related to the crystalline degree, of PHB, some its copolymers, blends, composites, and nanocomposites is discussed. With this issue, we wish to address scientists active in the field of biopolymers, fermentation technology, and polymer science. The eBook is also dedicated to students of higher level which are involved in the fields of polymer chemistry, environmental science, biotechnology, microbiology, and overall life sciences; we hope that this eBook is helpful for you! In addition, we strongly believe that the issue attracts also the attention of representatives of polymer industry. Do you want to get to feet on the ground of innovative polymeric products? This might provide for the ignition sparks for a broader implementation of PHA biopolyesters on industrial scale. I am tremendously optimistic that the exploratory and scientific efforts collected and summarized in the eBook volume at hand will motivate researchers all over the planet to deepen their R&D activities in this field, and to attract the interest of undergraduates as well as of innovative representatives from relevant industrial sectors. First and foremost, these activities shall boost the impatiently desired market penetration of such types of “bio-plastics” which fairly merit this designation. The content of this eBook emphasize that “bio-inspired” remedies for prevalent ecological problems are already available, developed by experts engineering and life sciences, or these solutions are at least being developed; they are expecting their industrial implementation in the emerging field of “White Biotechnology”! Again, I would like to cordially thank all contributors to this issue for their supreme work. Graz, Styria, Austria, January 25th, 2016.